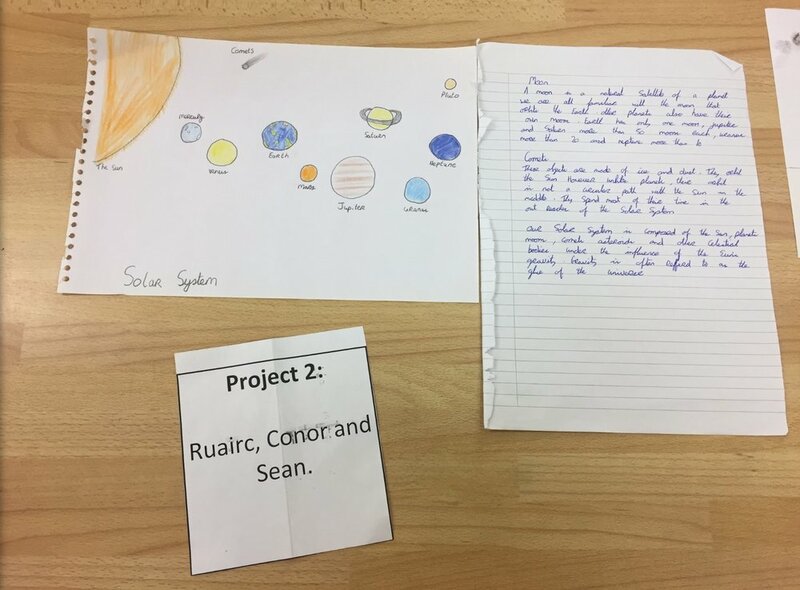 As part of their Science course, all 2nd year students completed a section of the syllabus on 'Earth and Space', and as part of this, Naomh Colman were asked by their Science teacher, Ms Foley, to create either a model, informative poster or a presentation on our Solar System. 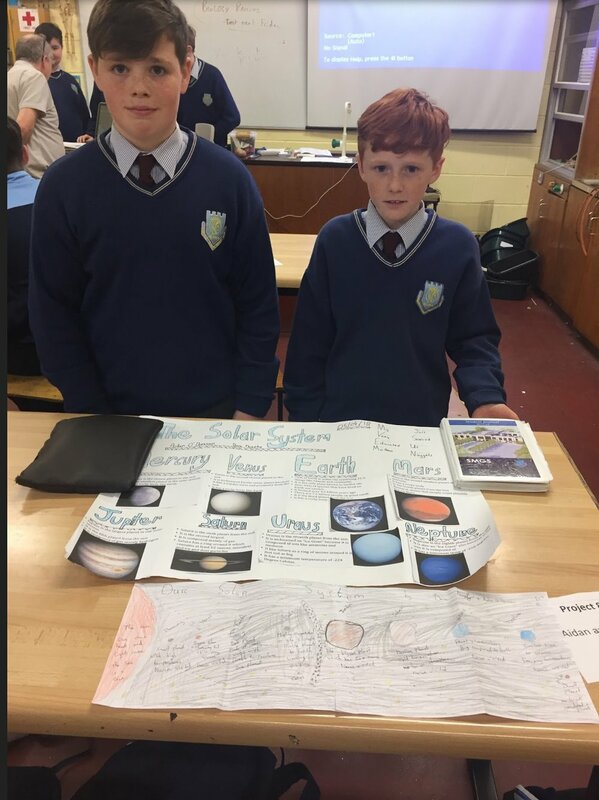 On last Friday the 13th of April, Naomh Colman had a showcase of their projects which were viewed by various teachers and 1st year Science classes. 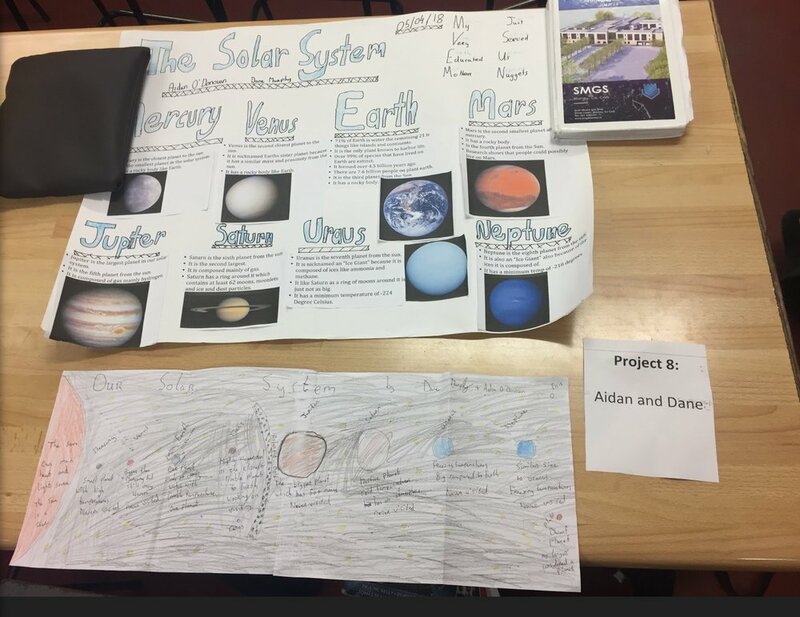 Everyone who came in to view the projects commented at the level of detail and effort that went into every single project. 1st Year Basketballers head for play-off.